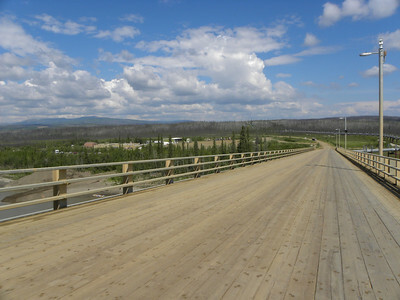 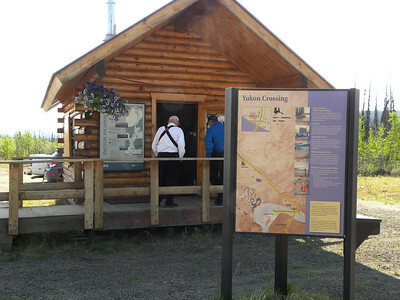 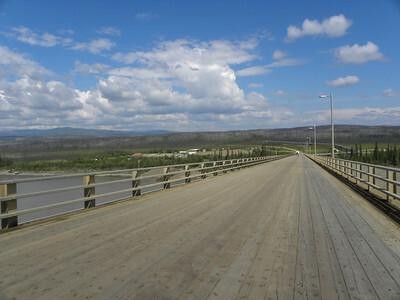 The Yukon River Bridge is more than a structure across a river - it is a connection to adventure. 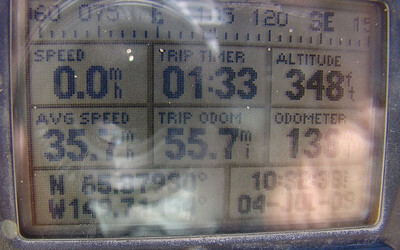 NOTE: Most of these photos were uploaded at full resolution. 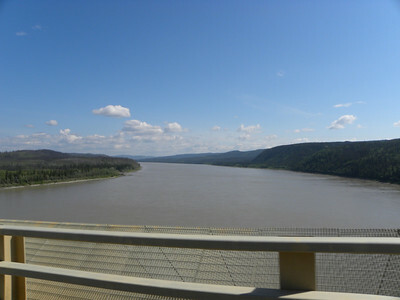 To see maximum detail, do a mouseover of the photo, and when the menu choices appear along the right hand side, choose "ORIGINAL". 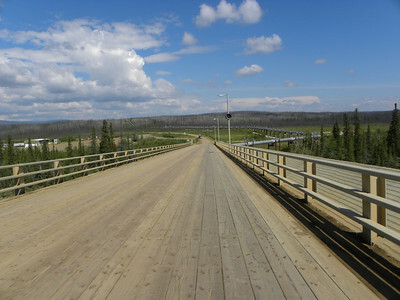 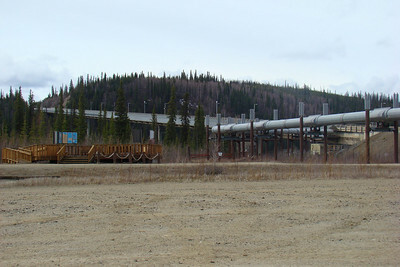 At the BLM wayside on the north side of the Yukon River, looking back at the bridge, the pipeline, and the information and viewing platform. 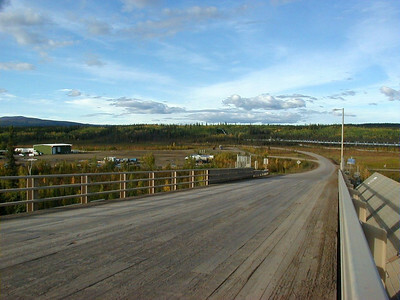 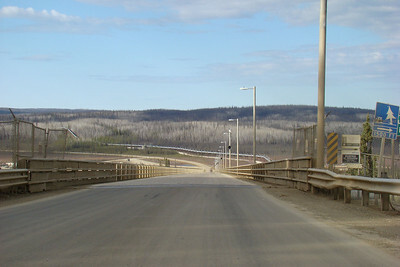 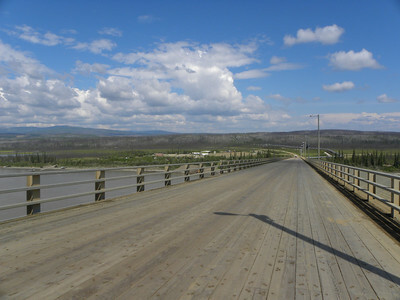 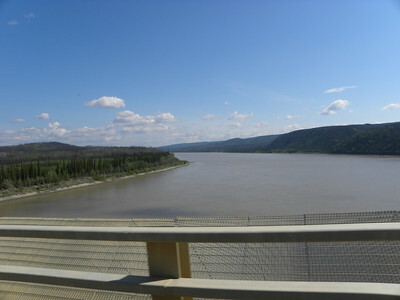 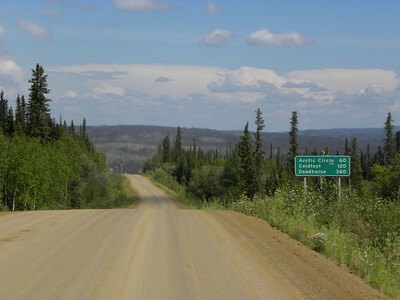 7/30/04 - Lower end of the Yukon River bridge. 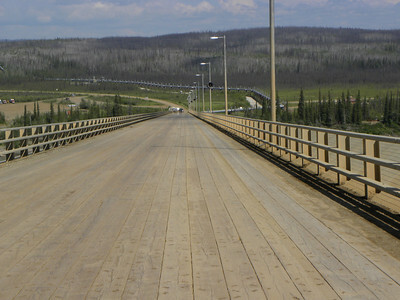 The damaged planking was replaced in late 2007. 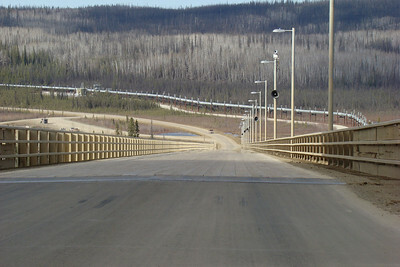 Looking down the bridge from the south side approach. 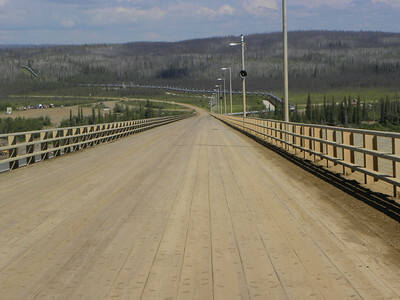 A little closer look at the bridge deck, replaced with new wood in 2007. 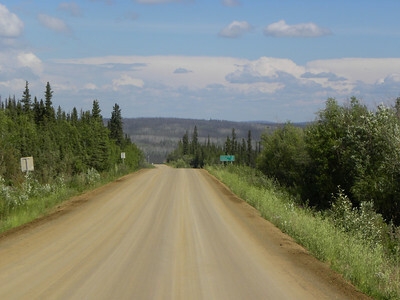 Be careful in the rain - wet mud on top of wood is not to be taken lightly! 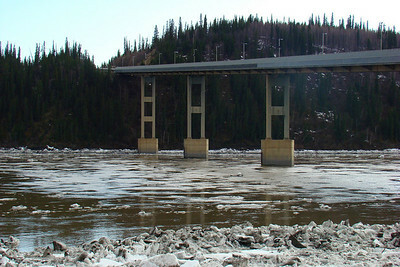 Without something to give perspective, the huge size of some of these ice blocks is not apparent. 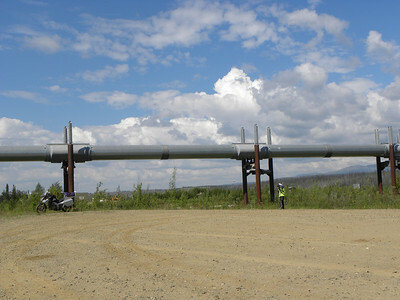 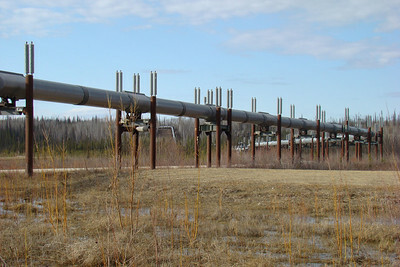 From the BLM wayside, the view looking north up the pipeline. 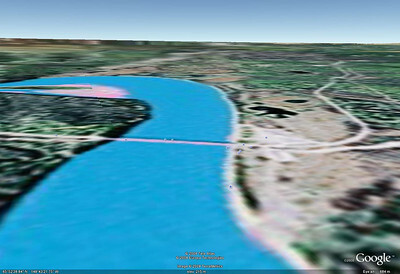 The Google Earth view looking downstream over the Yukon River Bridge.